Kissing Crane Thin Blue Line Police Trapper | BUDK.com - Knives & Swords At The Lowest Prices! The Kissing Crane Thin Blue Line Police Trapper is the newest addition to the American Hero Limited Edition Collection. 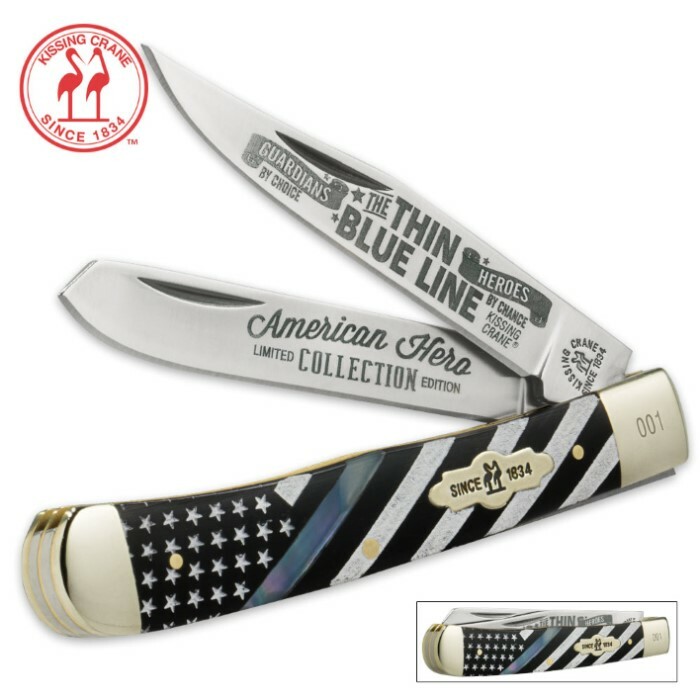 It honors our men in police uniforms with the iconic Thin Blue Line running through the handle on one side and a patriotic Thin Blue Line on the other side. The handle is of bone and pearl and it features nickel silver bolsters and a brass liner. 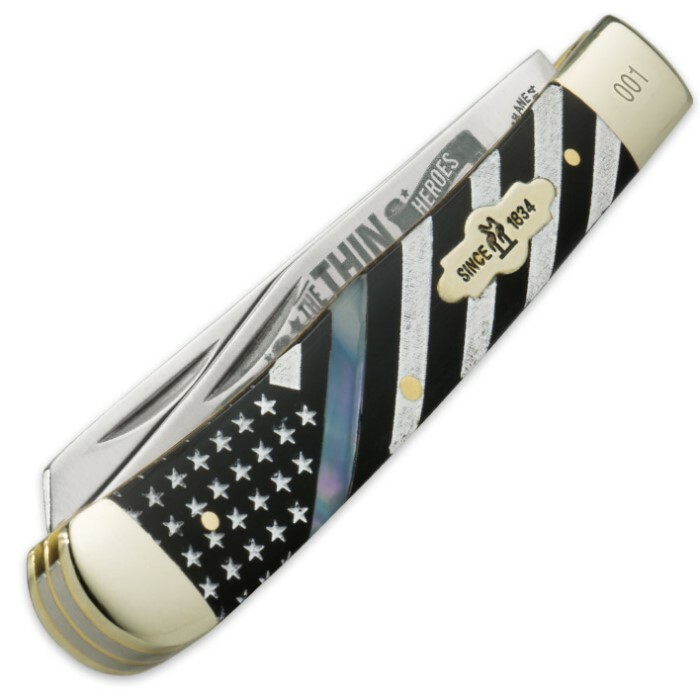 The stainless steel blades are etched with a Thin Blue Line motif, as well. It is 4" closed. 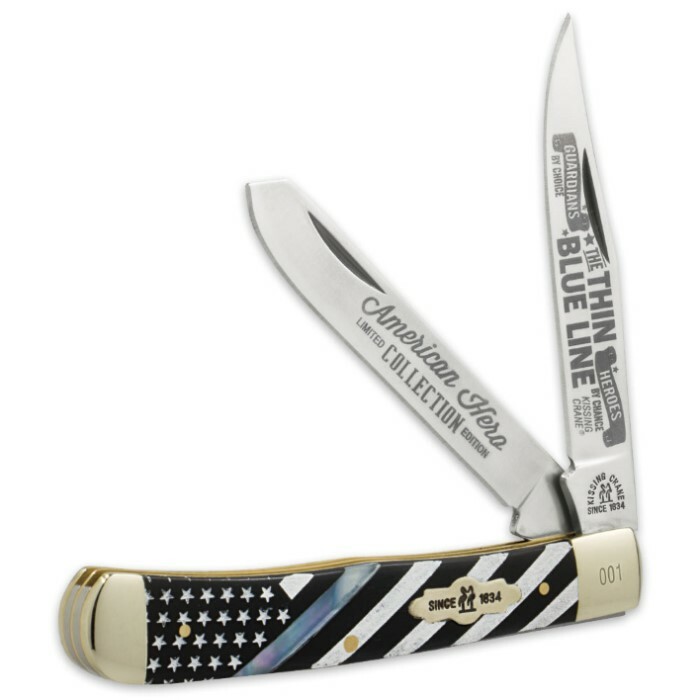 Honor the Boys in Blue by adding this trapper knife to your collection.